Blueprint: Is Wi-Fi Innovation Slowing Down? by Jay Botelho, Director of Product Management for Savvius, Inc.
Wi-Fi technology has improved our daily lives in ways unimaginable just a few years ago. 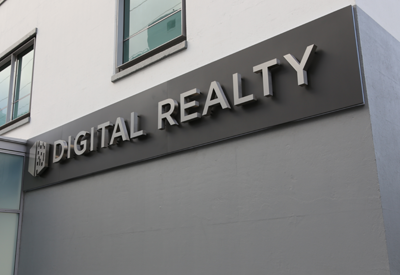 We routinely connect to our own personal digital universe from the comfort of our living room, while sitting at a local coffee shop, or even from the passenger seat of a new car. Yet for all of the amazing progress Wi-Fi has made over the years, are we witnessing the end of rapid WLAN innovation? Have we reached a point where ‘fast’ is fast enough? After all, it seems to take longer for organizations and even consumers to embrace each new iteration of this ubiquitous wireless standard. No one would deny that Wi-Fi technology has come a long way since it burst onto the market fifteen years ago. In that relatively short period, Wi-Fi’s maximum data rate has increased by a factor of 150. For the sake of comparison, the original 802.11b standard had a maximum throughput of 11 megabits per second (Mbps), while the latest 802.11ac 4-stream client device has a throughput of 1.7 gigabits per second (Gbps), or 1,700 Mbps, an amazing improvement. After 802.11b came three major leaps in Wi-Fi technology: 802.11a/g in 2003; 802.11n in 2009; and 802.11ac in 2014. The improvements in speed, range and intelligence of each successive standard have been remarkable. 802.11a raised the maximum theoretical data rate from 11Mbps to 54 Mbps, and used the 5Ghz band to avoid the degradation issues commonly faced by 11b’s overcrowded 2.4GHz band. 11a also performs better in crowded indoor environments such as offices, though the signals are more easily absorbed by solid objects such as walls, giving them a shorter range. 802.11g, ratified in 2003, extended throughput to 54 Mbps in the 2.4GHz band by using some of the same orthogonal frequency-division multiplexing (OFDM) transmission technology found in 802.11a. Like 802.11b, 802.11g devices suffer from interference due to overcrowding of the 2.4GHz band from digital phones, microwave ovens, and other electronics such as Bluetooth devices. The next major performance boost came in 2009 with the introduction of 802.11n. This standard uses both the 2.4 and 5GHz bands and multiple antennas to increase the maximum theoretical data rate to 600 Mbps. Now with four spatial streams at a channel width of 40 MHz, 11n supports features for better security and multiple-input multiple-output (MIMO). 802.11ac was announced with a lot of fanfare in early 2014, with the goal of providing data rates of up to 7 Gbps in the 5GHz band. In real environments that level of throughput is unrealistic, but getting 1.7 Gbps is entirely possible with a four-stream client device. The limiting factor with 802.11ac devices is usually the number of antennas. 11ac can support up to eight, each running at 400 Mbps. However, most routers only have four antennas and most devices have fewer than that. Smartphones with only one antenna, for example, will not be able to take advantage of an 802.11ac network’s capacity. Regardless, these speeds are much higher than almost all home broadband connections, and certainly higher than what was possible with 11n just a few years prior. 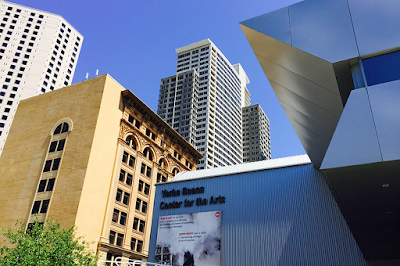 The technology is here today – it’s just not being used to its full potential, yet. So if the advancement of the technology isn’t slowing down, why does progress sometimes seem to be faltering? There are multiple factors. One of the simplest reasons is that Wi-Fi is being embedded into so many products, from PCs to thermostats, that updating each of them to support a new standard is a massive undertaking. Add to that the need to ‘future-proof’ these products with features that may not be needed for a year or two, and the problem becomes more clear. With each successive new standard, products trickle onto the market slowly until production costs fall, but that doesn’t happen until economies of scale are reached. For all the speed offered by 802.11ac, there are still relatively few devices that take full advantage of it, and without those benefits it is hard to convince businesses or consumers to upgrade. Each subsequent generation of Wi-Fi standards has run into initial obstacles that quickly yielded to astounding growth, and there is no reason to think that pattern will end soon. Once a technology is in place, innovative companies and consumer pressure soon find ways to exploit it, just as we saw with the explosive growth of WLAN innovation thanks to drivers such as 4K video streaming. The 802.11ax standard currently in development is expected to offer a theoretical 10 Gbps or higher. This has the potential to translate into real-world speeds higher than 2 Gbps. It will take a lot of creativity to use that bandwidth effectively, but it will happen. So, to answer my original question, “are we seeing the end of rapid WLAN innovation?” The answer, in my opinion, is a definite no. Jay Botelho is Director of Product Management for Savvius, Inc.
Cisco announced a new software release for its Application Centric Infrastructure (ACI) that adds microsegmentation for both physical (bare metal) applications and multivendor virtualized applications (VMware VDS, Microsoft Hyper-V). New features extend ACI across multi-site environments to deliver policy-driven automation across multiple data centers. The update also adds support for Docker containers through contributions to open source. Cisco said its ACI now supports automated service insertion for any third party layer 4-7 service and cloud automation tools like VMware vRealize Automation and OpenStack, including open standards-based Opflex support with Open vSwitch (OVS). Docker Container Support: Cisco delivers support for both physical and virtual endpoints, and now extends support for Docker container endpoints through integration with the Cisco Application Policy Infrastructure Controller (APIC) and Project Contiv. Project Contiv is an open source project defining infrastructure operational policies for container-based application deployment. ACI’s unified policy model enforces policy via endpoint groups (EPG), a collection of network endpoints that includes a wide range of entities, including bare-metal servers, virtual machines, and containers. Docker offers an open source platform for running distributed applications in Linux containers. Enhanced security: Cisco ACI now provides micro-segmentation support for VMware VDS, Microsoft Hyper-V virtual switch, and bare-metal applications, which allows granular endpoint security enforcement. Customers can dynamically enforce forwarding and security policies and quarantine compromised or rogue end points based on virtual machine attributes (such as Name, Guest OS, VM Identifier) or network attributes (such as IP address.) Organizations can also isolate workloads within the same policy group. For example, communication between all endpoints within the same web tier can be disabled through policy-based automation, which prevents security threats from moving laterally within the data center. Support for multiple data centers: Cisco ACI now delivers consistent policy-driven automation across multiple data centers to enable application mobility and disaster recovery through the new multi-site application in the ACI toolkit. Cisco ACI now also supports service insertion and chaining for any service device, without the need for a device package for policy coordination with the Cisco APIC. Customers can now seamlessly configure and manage all their existing network services, while automating network services connectivity. Increased operational flexibility: Additional software capabilities provide: support for NX-OS style Command Line Interface (CLI) for APIC, Basic and Advanced GUI modes, Simple Network Management Protocol (SNMP) support for APIC, and trouble-shooting wizard enhancements such as Heat Map. General availability is Q4 CY 2015. Cloud automation tools: Adding to its support for Microsoft AzurePack for private cloud, Cisco now offers full policy-based cloud automation with VMware vRealize Automation and also OpenStack deployments. 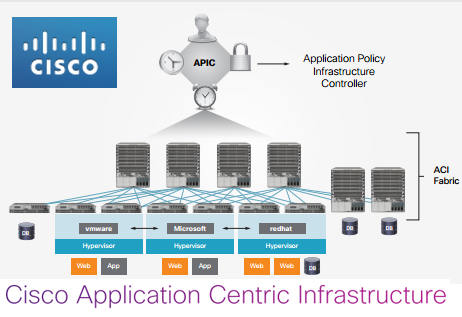 Cisco is extending ACI policy directly to the hypervisor using Opflex on Open vSwitch (OVS). OpFlex provides the policy-based integration between OpenStack and APIC. These will be generally available in Q4 CY 2015. ACI Ecosystem expands to 47 members: In addition to CliQr, DataTorrent, and Vnomic, four new members that expand complete application and cloud services for ACI deployments have joined the ACI ecosystem: Apprenda, KillerIT, One Convergence and ScienceLogic. Cisco also noted that it now has over 5000 Nexus 9000 ACI-ready customers using its open platform. ONOS, the open source SDN networking operating system for Service Provider networks, released its fifth generation platform. "When we initially released ONOS, our goal was to provide a solid platform that would act as a base on which ON.Lab, its partners and the community could rapidly develop a number of SDN applications," said Thomas Vachuska, Chief Architect at ON.Lab's ONOS project. "ONOS' growing list of SDN and NFV use cases and solutions is a testament to the robustness of its initial distributed architecture design. Even as we add more features, it continues to provide high availability, scalability, performance, and the rich north- and southbound abstractions required for service provider and mission critical networks." OPNFV and OpenStack - In order to become a controller option with OPNFV's upcoming Brahmaputra release, Emu can integrate with OPNFV and OpenStack to provide an easy pathway to future VNFaaS and NFV management and orchestration capabilities. In addition, SK Telecom is leading a project called Simplified Overlay Networking Architecture (SONA), which will ease deployment of software defined data centers, where they have provided OpenStack Switching and OpenStack interfaces for CORD. Resource Reservation Subsystem - Fujitsu has contributed a general purpose reservation system to replace the previous ones, supporting a single, consistent interface and semantics for different types of resources. The new subsystem is also more easily extensible to new types of resources that operators may wish to bring under ONOS' control. IP Multicast – DirecTV continues to contribute to the multicast infrastructure. To support multicast use cases and applications the project created the ONOS Multicast Forwarding Application (MFWD). The multicast apps MFWD and Protocol Independent Multicast (PIM) support PIM-SSM Hello and Join/Prune as well as static multicast routes. The ONOS multicast architecture is composed of the following primary components; the Multicast Route Table that maintains Multicast ASM and SSM forwarding state within the ONOS controller, the MulticastForwarding module which responds to live multicast data traffic, the MulticastIntentManager responsible for interacting with the ONOS IntentService which in turn establishes paths through the network. GUIs - ONOS adds the MFWD CLI and REST APIs that allow external operators and applications to examine and modify the existing MFWD state. The UI adds new archetypes for views as well as a new overlay for Badged nodes and both facilitate the ability to customize the user's view of the network. Service Function Chaining - Huawei has contributed significant enhancements to the virtual tenant network (VTN) system to enable ONOS to provide Layer 2 and Layer 3 (L2, L3…) virtual networks as well as IETF's Service Function Chaining (SFC). New capabilities include a set of new northbound APIs for creating SFC. These include creating port-pairing for virtual functions, port-pair-grouping for load balancing of virtual functions, flow-classifiers (L2, L3 and L4) and port-chains for function chaining. ONOS implemented an SFC control plane in ONOS by creating an SFC Manager that includes classification and forwarding behavior construction. New L3 features are: east - west bound communication between different subnets for the same as well as different tenants; south-north bound communication including floating IP and device modeling for external traffic; and the ability to do live virtual machine migrations and to add L3 services in the data path. CORD – CORD brings a new architecture to the CO that began with a residential subscriber PoC at ONS2015 that will become a field trial with AT&T in the first half of 2016. The trial will also add support for mobile and enterprise PoC's in 2016. New Meter and QinQ support enable more QoS and Policing features. Additionally, SK Telecom helped develop initial implementations of infrastructure support for virtual networks and network services for CORD for the delivery of mobile network use cases. Adaptive Flow Monitoring - Korea's Electronics and Telecommunications Research Institute (ETRI) has added infrastructure upgrades for ONOS to perform adaptive flow monitoring. Monitoring can now be used to debug flows inline. Network traffic monitoring is a fundamental function that can be used to operate and manage a network stably and efficiently. To do this many network management systems require accurate network resource status information in real-time. In order to provide such information in an inexpensive but accurate way, ONOS adds an adaptive flow monitoring subsystem with an efficient sampling algorithm. Selective Deep Packet Inspection (DPI) subsystem in ONOS will be added in future iterations as ONOS plans to develop the subsystem in two phases for its OPEN-TAM functionality subproject. SDN -IP - is an ONOS application that allows Software Defined Networks to connect to external networks, legacy or software-defined, using the standard Border Gateway Protocol (BGP). It is a key element of ONF's Atrium distribution. The SDN-IP app benefits from the new configuration subsystem announced in Drake by delivering remarkably easy app configuration with Emu enabling reconfiguration of this app at run-time so it can add or remove peers dynamically. Emu also adds default route support in SDN-IP based on the IETF's RFC 4632 standard. In legacy networks, if the router does not have a matchable IP prefix then it will send the packet to the next hop in the default route. Similarly in SDN-IP, if a peer announced a default route then it means that, if you do not know where to route the traffic, you can send it to that peer and it will route the traffic for you. Another benefit of using default route is to reduce the route table size. Reactive Routing – Reactive routing for SDN-IP can work with and without BGP, however, without BGP it can only handle routing inside local networks. This is due to the situation where reactive routing does not initiate a route discovery process until a route to a new destination is required. It leads to higher latency but delivers lower overhead for slim yet nimble deployments where more is required from fewer hardware resources. ONOSFW - To deliver ONOS support for OPNFV, ONOS launched the ONOS Framework project (ONOSFW) in the OPNFV open source community. A Virtual Infrastructure Manager (VIM) is a required component used in NFV architecture to manage and control virtualized resources via coordination between OpenStack and the SDN controller. ONOSFW builds the interfaces for ONOS to communicate with OpenStack Neutron's Modular Layer 2 (ML2) plugin, which is a framework allowing OpenStack networking to simultaneously utilize the variety of layer 2 networking technologies found in complex real-world data centers. In terms of functionality, ONOSFW provides VTN, Layer 2, Layer 3 and SFC services in ONOS enabling applications to build tenant-based services on top of ONOS. Border Gateway Protocols with Link State Distribution (BGP-LS) - On the southbound, Emu adds Border Gateway Protocol with Link State Distribution extension (BGP-LS) as a plug-in to the ONOS controller to collect topology information from the network and make it available to other apps. This topology data can be used by applications such as PCE that can benefit from visibility outside one area or Autonomous System (AS) in order to make better decisions for path computations system-wide. SDN controllers require complete topology information from the networks they manage to customize them for performance improvements by delivering efficient usage of network resources. In the future, using BGP-LS any app such as PCE or ALTO servers can use new IP topology subsystem to create services for their own use case scenarios. In the southbound, BGP-LS learns all the link state information from IGP in the network, through which it learns the network topology along with the network's traffic engineering parameters. OTN and Packet Optical Support – ONOS improved the resource reservation API. ECI enhanced ONOS' optical application to support ODU Multiplexing and ODU Cross-Connect services based on OpenFlow (ONF) Optical Transport Protocol Extensions with OCH and ODU Multiplexing with the southbound interfaces based on ONF standards. This enhancement includes support in the creation, deletion and restoration of data paths. The firms are jointly working to deliver ONOS in another packet-optical proof of concept. ECI has successfully demonstrated these features with ONOS over its own optical equipment and this capability will be available to any equipment that supports OpenFlow optical extensions that is using Emu or future versions of ONOS. 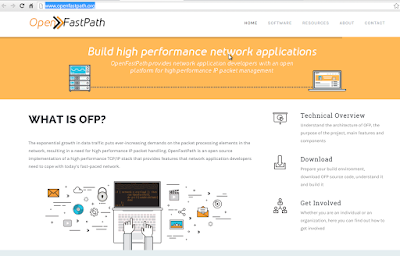 A new OpenFastPath (OFP) Foundation has been established with a mission of creating an open-source community around a standardized, accelerated TCP/IP stack that provides top performance for SDN-ready network functions. For operator networks, the new fast-path stack aims to deliver reduced IP latency, higher capacity and thus faster packet forwarding, and lower implementation costs. Founding members of the OFP are Nokia Networks, ARM and Enea. The initiative is also supported by several industry players including AMD, Cavium, Freescale, Hewlett-Packard and Linaro. 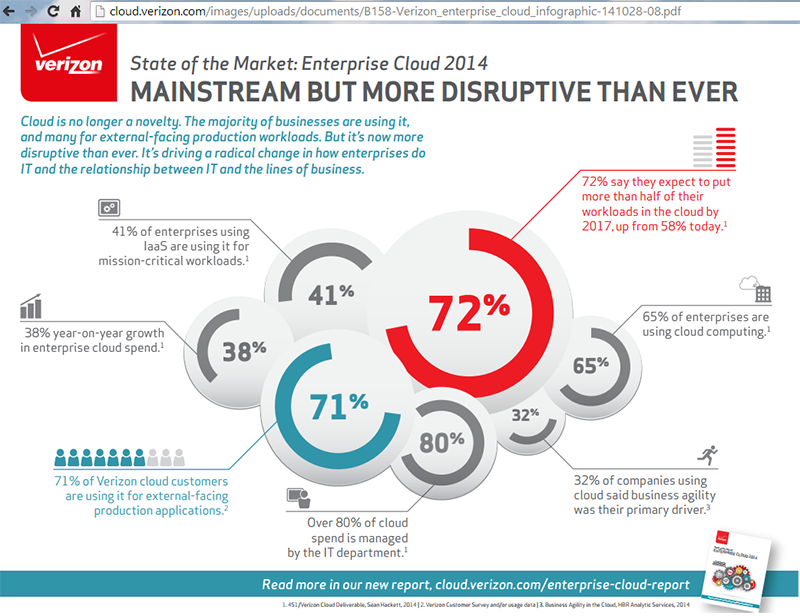 Verizon Labs is working with EMC to expand its software-defined storage strategy. Specifically, Verizon Labs is running EMC’s software-defined storage on commodity hardware while taking advantage of containerized, scalable, geo-distributed object storage and maximum elastic performance. EMC is integrating its commercial storage software with the open source Apache Mesos technology, as well as with the Mesosphere Datacenter Operating System (DCOS), for easier and more effective data center management. The companies said this approach allows Verizon Labs to operate a virtualized data center by managing distributed applications on large clusters of geographically distributed computers. Verizon has begun offering a secure and direct connection to the IBM Cloud. Verizon's Secure Cloud Interconnect service provides a flexible, private link to IBM Cloud data center sites located in Dallas and San Jose in the U.S. and Tokyo and Sydney in the Asia Pacific region. 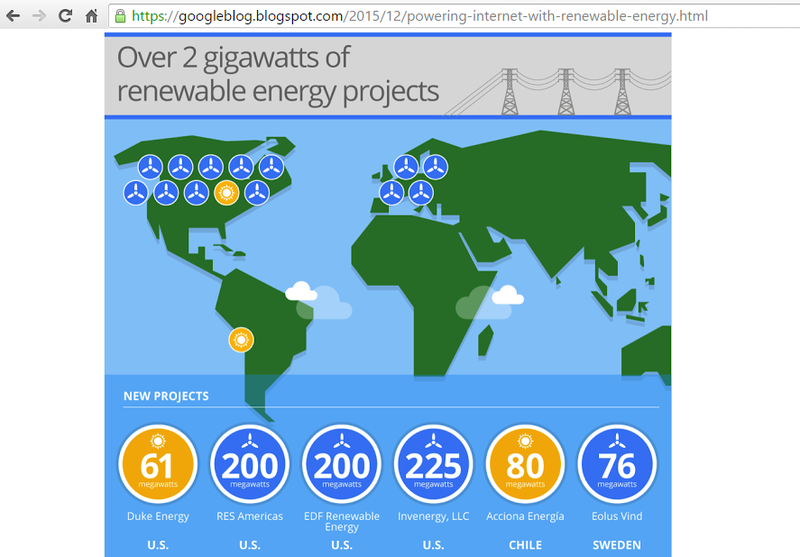 Two additional sites are planned in Europe for the beginning of 2016. With IBM, Verizon's Secure Cloud Interconnect now offers access to eight cloud providers (Amazon Web Services, Google CloudPlatform, HPE Rapid Connect, Microsoft ExpressRoute for Office 365, Microsoft Azure ExpressRoute, Microsoft Azure Government and Verizon ) and three data center providers (Coresite, Equinix, and Verizon) at more than 50 global locations in the Americas, Latin America, Europe and the Asia-Pacific region. "Verizon's Secure Cloud Interconnect allows users to connect to applications simply, securely and reliably," said Shawn Hakl, vice president of enterprise networking and innovation for Verizon. "With SDN at the heart of our Secure Cloud Interconnect solution, IBM customers will find it delivers an unbeatable combination of performance, control and efficiency to enable their digital transformation." The California Public Utilities Commission voted to approve Frontier’s proposed acquisition of Verizon's wireline, broadband and video operation in California, including the FiOS network. 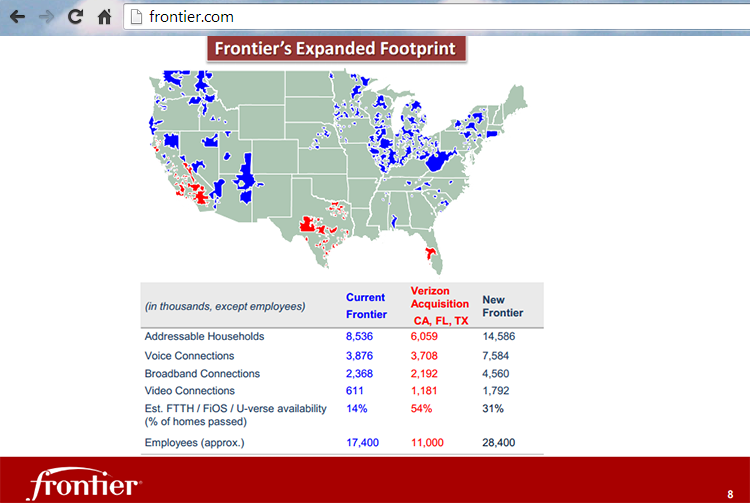 Frontier has received all other necessary regulatory clearances, including those from the Federal Communications Commission, the U.S. Department of Justice and the Public Utility Commission of Texas, for the $10.54 billion acquisition, which includes Verizon’s wireline, broadband and video operations and FiOS networks in California, Florida and Texas. The transaction is expected to close at the end of March 2016. Frontier Communications agreed to acquire Verizon's wireline operations that provide services to residential, commercial and wholesale customers in California, Florida and Texas, for $10.54 billion in cash. The deal requires regulatory approvals. These Verizon properties include 3.7 million voice connections, 2.2 million broadband connections, and 1.2 million FiOS video connections. The network being acquired is the product of substantial capital investments by Verizon and is 54 percent FiOS enabled. Verizon spent more than $7 billion in the buildout of FiOS in the acquired territories. "This transaction marks a natural evolution for our company and leverages our proven skills and established track record from previous integrations," said Maggie Wilderotter, Frontier Communications Chairman and Chief Executive Officer. "These properties are a great fit for Frontier and will strengthen our presence in competitive suburban markets and accelerate our recent market share gains. We look forward to realizing the benefits this transaction will bring to our shareholders, customers and employees." In October 2014, Frontier Communications completed its previously announced $2 billion acquisition of AT&T’s wireline business, statewide fiber network, and U-verse operations in Connecticut. As part of the acquisition, Frontier also acquired AT&T’s DISH satellite TV customers in Connecticut. In 2010, Verizon divested its local wireline operations serving residential and small-business customers in predominantly rural areas in 14 states by selling these operations to Frontier Communications. The deal included switched and special access lines, as well as its Internet service and long-distance voice accounts. The deal include all of Verizon's local wireline operating territories in Arizona, Idaho, Illinois, Indiana, Michigan, Nevada, North Carolina, Ohio, Oregon, South Carolina, Washington, West Virginia and Wisconsin. Also included were fiber-to-the-premises (FTTP) assets deployed by Verizon in 41 local franchises and the state of Indiana. 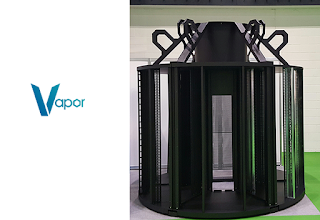 Vapor IO, a start-up based in Austin, Texas, announced a Series A funding round for its intelligent, hyper modular data center solution. 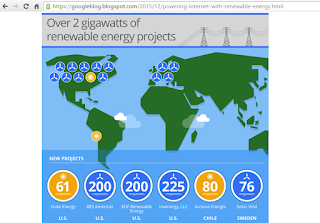 The funding was led by Goldman Sachs, with participation from AVX Partners, but the amount was not disclosed. 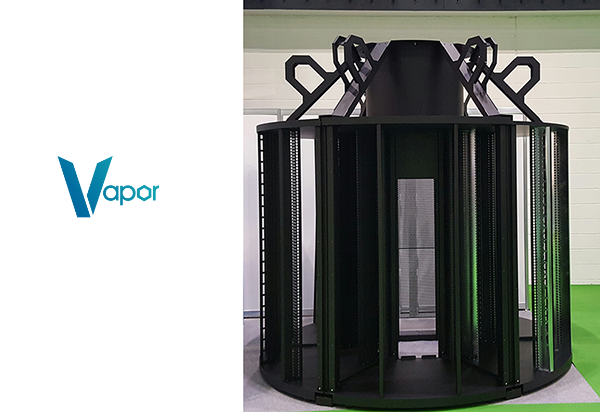 Vapor IO is focused on new design for maximizing density and energy efficiency in data center design. TIM Brasil has selected Nokia Networks to modernize and expand its 3G and 4G LTE networks in 17 states across the North, Northeast and Center West regions.Nokia Networks will also provide its small cells products, as well as implementation, optimization and care services. Financial terms were not disclosed. 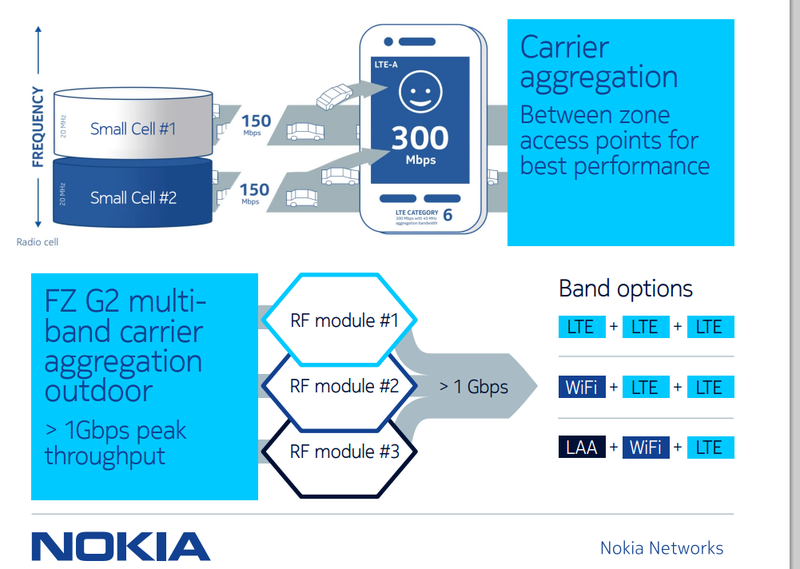 Nokia Networks unveiled a new Flexi Zone outdoor modular base station that becomes the world’s first small cell to achieve over 1 Gbps peak data rate. The new Flexi Zone G2 Multi-Band Carrier Aggregation Outdoor Micro/Pico Base Station (BTS) offers three RF module slots, enabling operators to deploy and aggregate between various radio access technologies and spectrum combinations including up to three LTE licensed carrier bands or configurations offering a combination of LTE licensed carrier bands, unlicensed LTE bands (LTE-U or LAA) and Wi-Fi. Nokia also announced a number of innovations to simplify small cell deployment and help operators to evolve to Ultra-Dense Networks. These include the optimal selection of viable sites, more efficient backhaul, improved plug and play technology, new energy-saving features and simplified synchronization between base stations. The company said its HetNet Engine Room allows operators to deploy small cells 30% faster, with 20% lower costs and serve 10% more subscribers. Using detailed 3-D street level maps, the service calculates a ‘Site Value Index’ that quantifies the likely return on investment (ROI) for operators from different locations.